Having some fun. Had Virginmedia 50Mb broadband installed today. With a straight ethernet cable connection to this PC it ran at 49.5 to 51.7 Mb`s. But me being the perfect gentleman hooked it into a dlink router (free from Virgin) to give the family wireless connections. BooHoo now I`m down to 42Mb`s. Upload speeds were not the greatest 1.7 to 1.8Mbps and my fingers cant quite catch up with the buttons. Running this PC at 4.18GHz (stock 2.67GHz) The 2x 4890`s in crossfire also up. All in all it is a nice experience for an older member. £35 to install,new modem,new router FREE. Takes a little while to fire everything up, but it comes through in the end. and this is off the router. 12 month contract, but I can cancell up to 28 days. 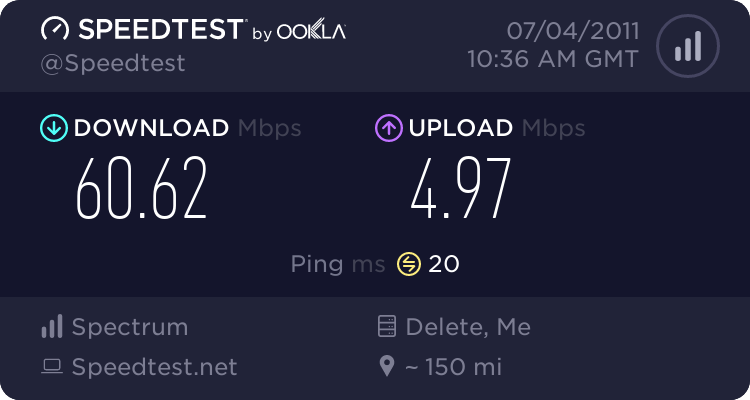 in your original post when you said MB I thought you were referring to megabytes LOL, it should actually be Mb for megabits as your speedtest result shows. That's too bad that your upload is so slow compared to that lovely download. 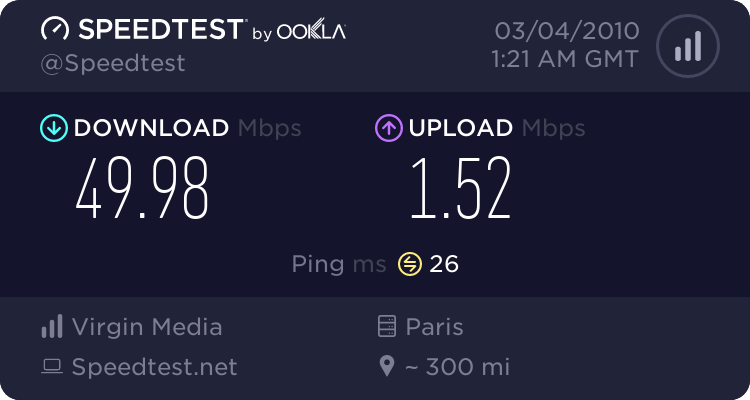 Is paris the closest server for you? 550 miles is rather far and I'd imagine you could get better speeds elsewhere. 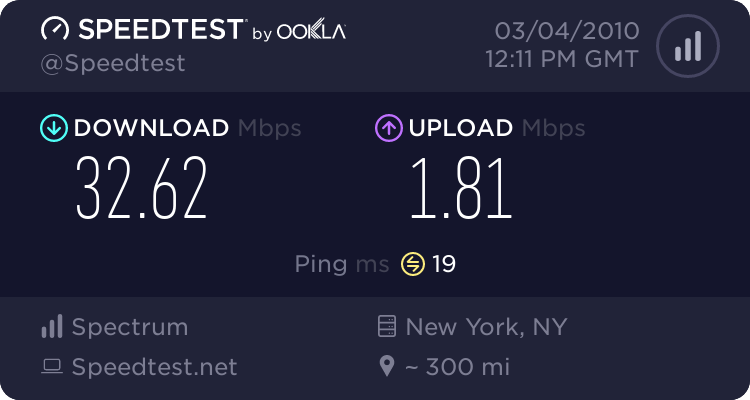 Of course, speed test results are never perfect anyway. Your uploads are very good, nice to see Comcast loosening their belt with that. RR is on the ball but only for customers in the NYC area; I'm just south of Niagara Falls. Just ran another test .Have set pc specs to normal,no OC. This was at 1600hrs GMT. on a saturday, seems that Virgin have started to pilot upload speeds in some area`s but for the moment 1.66Mb/s would be my max. Most of the local Irish speed tests are not that great.